Formerly of West Virginia, graduated with BA Degree from Marshall University in 1982 and Capital University Law School in 1985. He was admitted to both the South Carolina Bar and United States District Court in 1986. 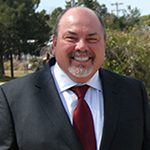 He has practiced law in the Horry County Area since 1986. Randy is a member of the Horry County Bar Association, South Carolina Bar Association, and the South Carolina Association of Criminal Defense Lawyers. He is certified as an arbitrator, as well as a certified Family/Divorce Mediator and Certified Guardian Ad Litem with the South Carolina Council for Conflict Resolutions. He is also certified to serve as counsel on death penalty cases. He is licensed in Federal District Court for South Carolina and the Fourth Circuit of Appeals. He is active in the local community with the Coast of Carolina Parrothead Club. Formerly of Spartanburg, SC. Graduate of the University of South Carolina, and graduate of Appalachian School of Law in 2006. 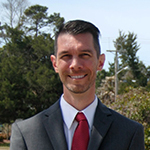 He is a member of the South Carolina Bar Association as well as the Horry County Bar Association, since 2007. He is also a member of the American Trial Lawyers Association as well as a member of Phi Alpha Delta Society. Additionally he has recently been admitted into the Federal District Court of South Carolina, as well as the Fourth Circuit Court of Appeals. His primary areas of practice are Real Estate, Foreclosures prosecution and defense, and civil litigation. A native of Milwaukee, Wisconsin, Nikki relocated to South Carolina in 1993. 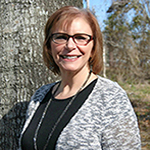 She has been a Paralegal in the Myrtle Beach area since 2000 and has worked in various areas of law. 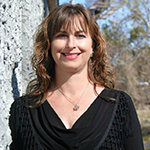 Nikki joined our firm in 2011 and heads our Family Court department. She loves football and is not only a huge Green Bay Packers fan, but a Shareholder as well. She is also an active member in the Coast of Carolina Parrotthead Club. Nikki is married and a proud mother of three sons, one of which is active duty Air Force, and is also a grandma of two precious granddaughters. She takes each and every case personally and works diligently with you from beginning to end, to help you achieve the results you are looking for in Family Court. 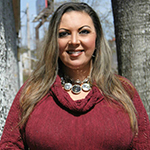 Nikhole has worked in the accounting field since 1990. She attended a community college in Florida and then transferred to South Carolina and graduated with a Business Management Degree with an emphasis in Accounting from Coastal Carolina University. Nikhole has worked in the private industry practicing accounting that includes a doctor's office, a logging /landscaping company, skydiving company, aircraft restoration company, golf industry, storage rental units, and a clothing line company. Being versatile in accounting is what works for every industry. In each of her endeavors as an accountant she has also worked closely with the public. Nikhole is an active member at her local church and teaches children's activities there. If there are any financial or office questions that you have, please contact Nikhole as she would be more than happy to help you. April relocated to South Carolina in July 2016. April has been a legal assistant for over 18 years and has worked in various areas of law. April joined our team in January, 2018 and handles Civil Litigation, Personal Injury and Foreclosures department. April earned her Bachelor of Science degree in Paralegal Studies from Kaplan University, Tampa, Florida. April is an avid sports fan and supports the Dallas Cowboys. She can be found wearing her Blue and Silver on game days.